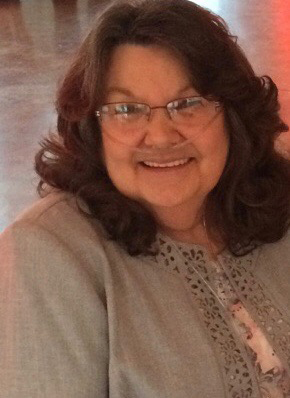 EAST ROCHESTER – Margie K. Raymond, age 70, died Tuesday, January 22, 2019 at her home surrounded by her family. She was born May 15, 1948 in Maryville, Tennessee, the daughter of the late Otis and Edna Pauline (LeQuire) Johnson. Margie worked at Blackhawk Automotive Plastics, now known as Ventra Plastics, retiring in 2010 after 11 years of service. Her true passion was being around family, especially her grandchildren. Her husband, Joseph R. Raymond whom she married July 31, 1965 preceded her December 19, 2013. Survivors include her children, Joseph (Peggy) Raymond of Salem, Vickie Raymond of Salem and Jason (Lori) Raymond of Hanoverton; siblings, Linda (Virgil) Scaggs of Harrisburg, NC, Samuel (Kathleen) Johnson of Jasper, GA and Robert Johnson of East Rochester; five grandchildren, Ryan (Veronica), Courtney (Doug), Hannah (Travis), Lucy and Elaine and four great-grandchildren. Her siblings, Betty Thompson and Carol Lutz also preceded her in death. In lieu of flowers, donations may be made to Hospice of the Valley, 5190 Market St., Youngstown, OH 44512. Arrangements were handled by Stark Memorial Funeral Home & Cremation Services.